Today, the Golden Frog Dev team launched a significant update to Dump Truck Desktop for Windows and Mac that significantly improves overall performance, memory handling and network usage. To upgrade, just click on the Dump Truck logo in the Windows task bar or the OSX menu bar and click on "Update available". If your version of the app doesn't report that an update is available, you can download the latest version of Dump Truck desktop here and install it yourself. The Dump Truck development team is very proud of this release. It has many great improvements over their original 1.0 release. To stay up to date on Dump Truck Desktop, please subscribe to our blog and follow us on Giganews Facebook, Giganews Twitter, Giganews YouTube Channel, and Giganews Google+. Golden Frog loves to hear feedback from Giganews members! If you have a product idea or feature suggestion for VyprVPN on Demand, please share it at Golden Frog Ideas: http://ideas.goldenfrog.com. VyprVPN mobile apps require VyprVPN service. Either sign up for a Giganews Diamond Membership, which includes VyprVPN for free, or add VyprVPN to your existing Giganews membership. If you haven't downloaded VyprVPN on Demand, you can download it from the App Store. To stay up to date on VyprVPN on Demand, please subscribe to our blog and follow us on Giganews Facebook, Giganews Twitter, Giganews YouTube Channel, and Giganews Google+. The Golden Frog Dev team is pleased to announce the availability of VyprVPN for Android version 1.2. 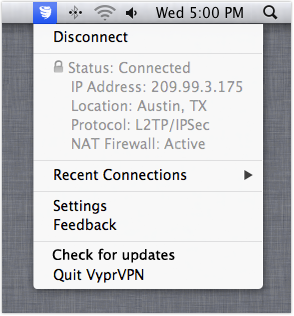 This latest release has several new features, but the feature we are most excited about is new VyprVPN widgets. If you have never used an Android widget before, it’s an app you can place on your home or lock screen to view the status of an app and use some of its basic functions. Read more about the update at the Golden Frog blog. To stay up to date on VyprVPN for Android, please subscribe to our blog and follow us on Giganews Facebook, Giganews Twitter, Giganews YouTube Channel, and Giganews Google+. Golden Frog announced today that they have added a new VyprVPN server in Toronto, Canada! The Toronto VPN server is available for all VyprVPN protocols, including PPTP, L2TP/IPsec and OpenVPN. Giganews Diamond members and members who have added VyprVPN to their membership can immediately take advantage of the new Toronto VyprVPN server location. To learn how to access the Toronto server using VyprVPN Desktop and VyprVPN Mobile, please read the Toronto server announcement over on the Golden Frog blog.